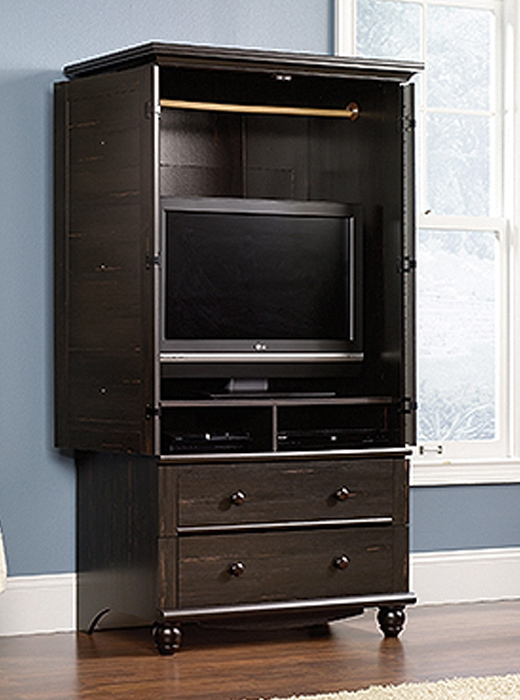 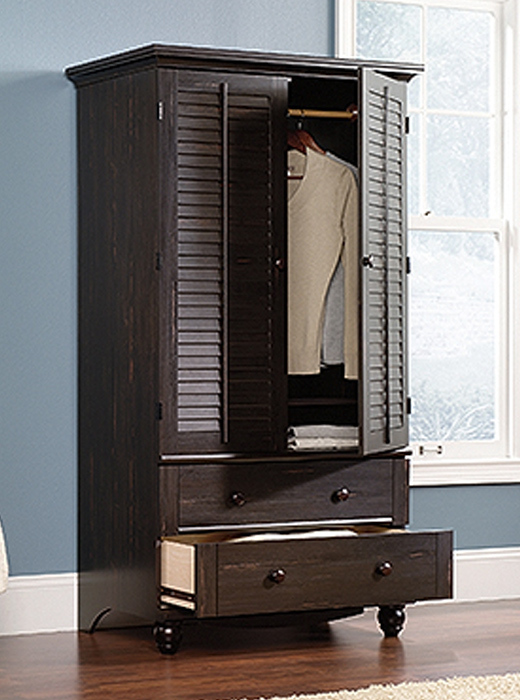 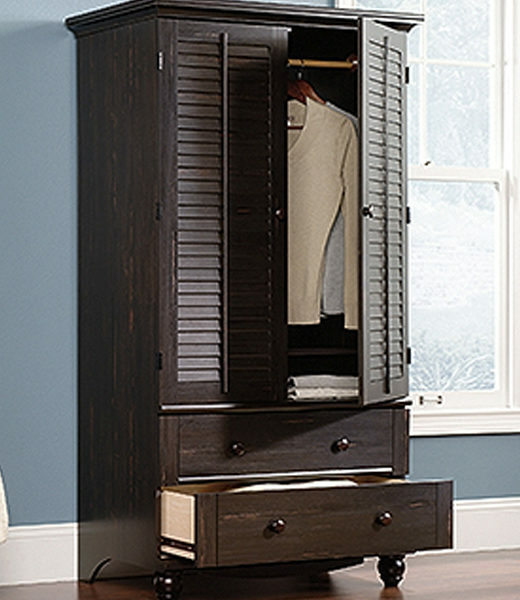 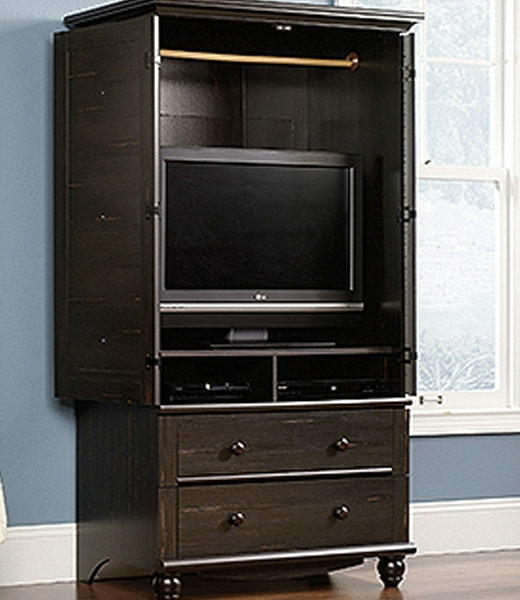 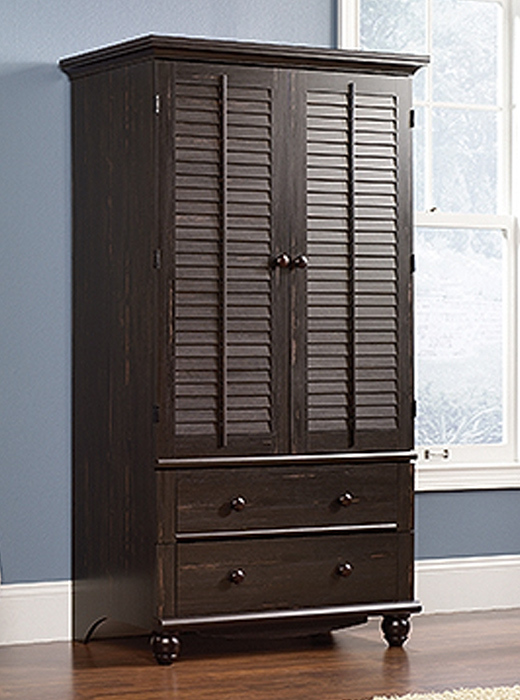 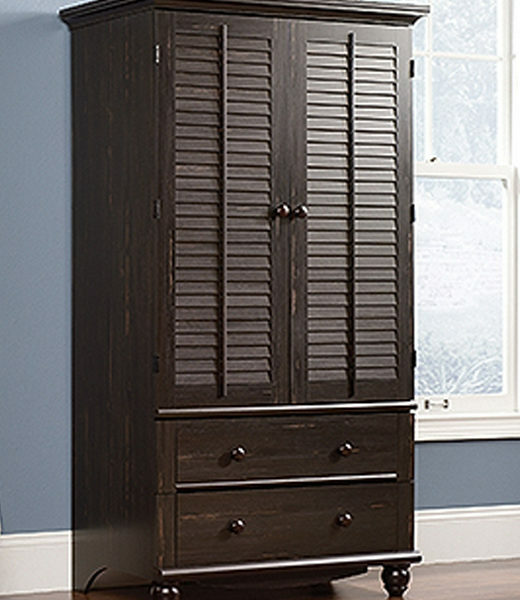 An Armoire from the Harbor View Collection with an Antiqued Paint finish. 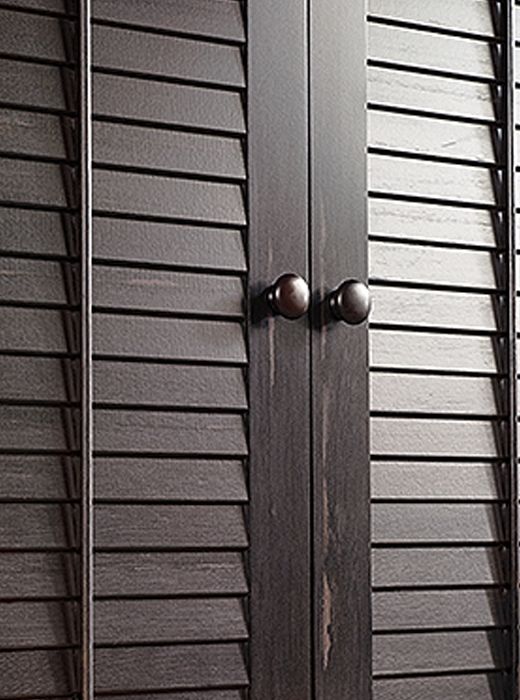 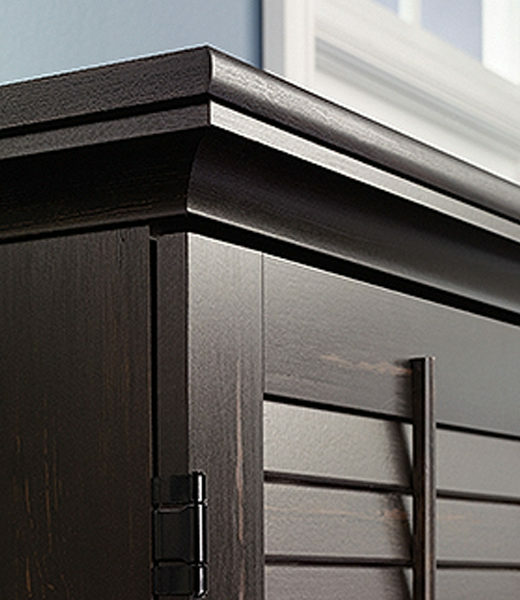 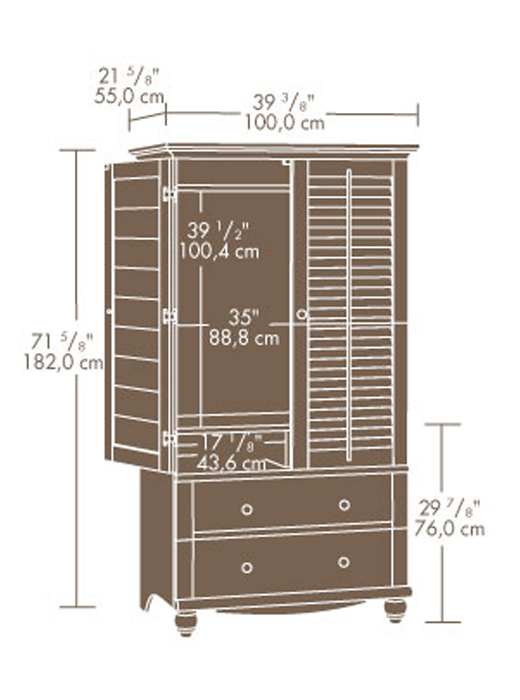 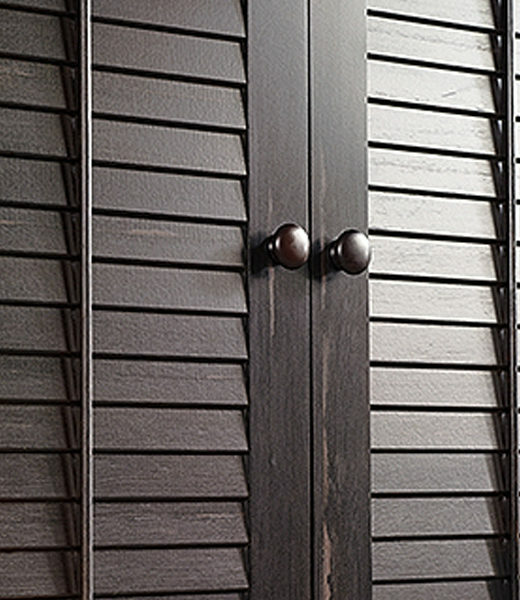 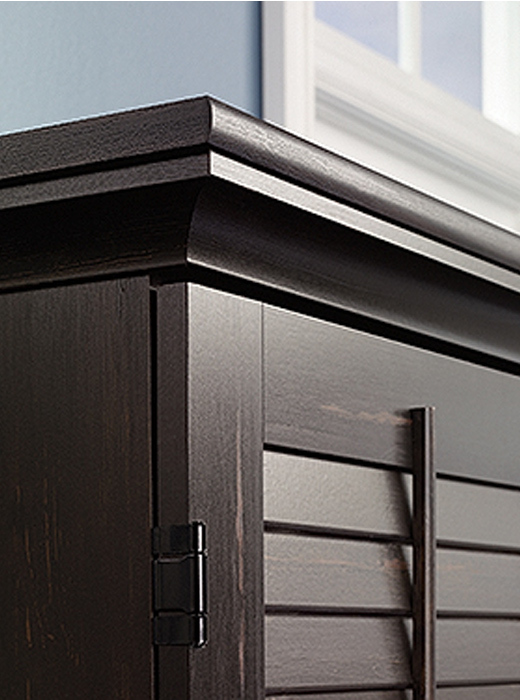 Garment hanging rod and storage cubbyholes behind louvered doors which fold back against the end panels. 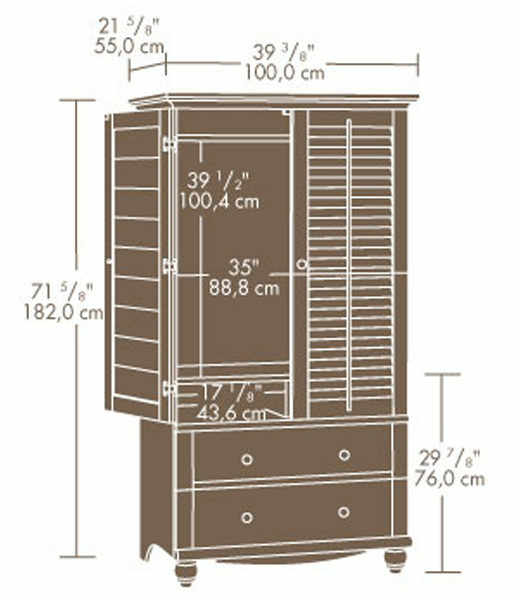 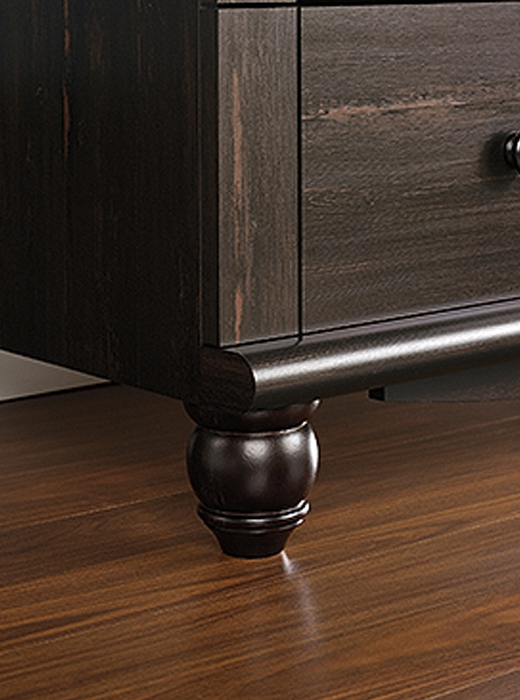 Two drawers have metal runners and safety stops.